WooCommerce BluePay Payment Gateway Extension: Accept payments with BluePay in your WooCommerce store. BluePay is a gateway plugin that extends WooCommerce and allows you to accept payments via BluePay Credit Card gateway and BluePay ECheck. Each payment option acts as a separate payment gateway, but connects to the same BluePay account. With the BluePay credit card gateway your customers are prompted for their credit card details, and BluePay handles the authorization and settlement. 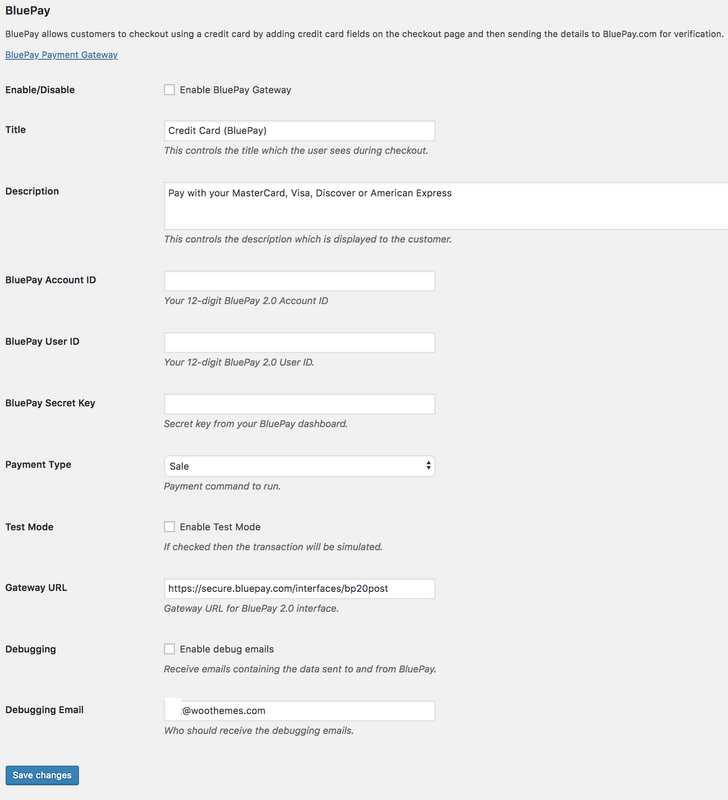 With the BluePay Echeck gateway your customers are prompted for the routing number and account number of their US-Based checking or savings account. The information is sent to BluePay and an ACH payment is setup that will settle in 3-5 business days.